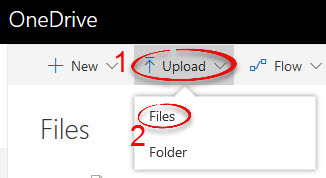 Instructions on how to upload documents and files to OneDrive. Step 1:Log in to OneDrive. For instructions on how to log in, visit the Logging In article. Step 2:Click the Upload button, then click the appropriate option for what you would like to upload. This article uses Files. 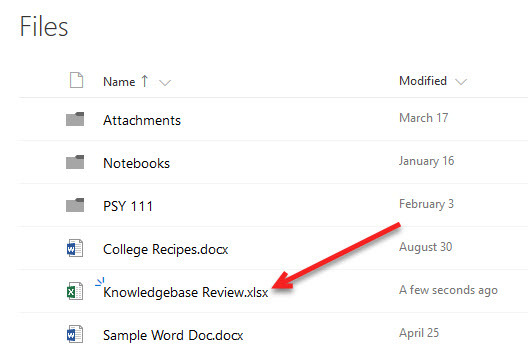 Step 3:Click on the document that you want to upload, then click Open. 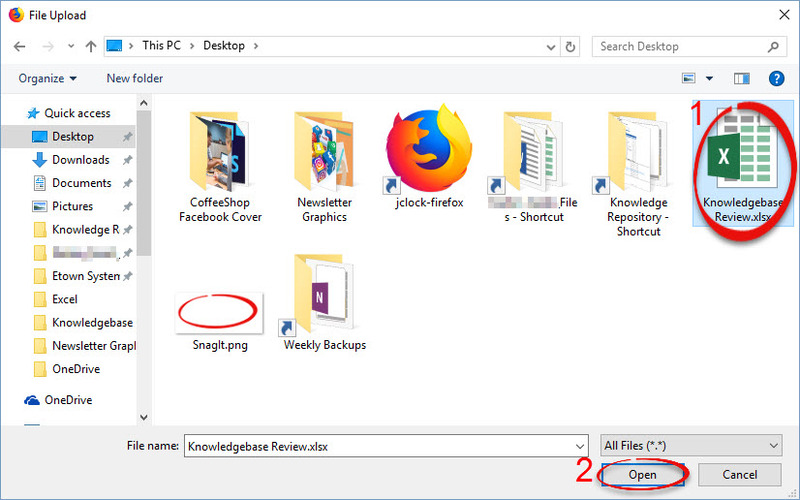 Step 4:You've now uploaded your file. For more information, visit this Hoonuit video.